Gift Arrangements If your weathervane is a gift, we can prepare and send the literature described below as soon as your order is placed. Or, if you prefer, the literature can accompany the completed weathervane. 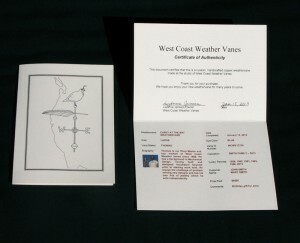 The Owner’s Booklet accompanies each of our weathervanes. It includes interesting information on weathervanes as classic examples of American Folk Art, a history of weathervanes, how weathervanes can indicate weather conditions, detailed installation instructions and the story of how our business, West Coast Weather Vanes, came to be. If you are selecting a weathervane from one of our existing designs, we will include a photograph of a weathervane in the series you have selected. If you are giving the recipient a choice of weathervanes from which to select, we will include photographs of the weathervanes under consideration. If you are commissioning a new design and there is enough time, we will include a sketch of the new weathervane design. If there is not enough time before the special occasion, we will include a photo of a weathervane that is as close as possible to the newly commissioned one with a note that says that the new design will follow shortly. 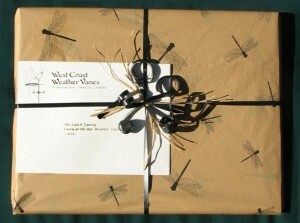 The Art of the Weathervane by Steve Miller is included, gift wrapped, in the price of your weathervane. 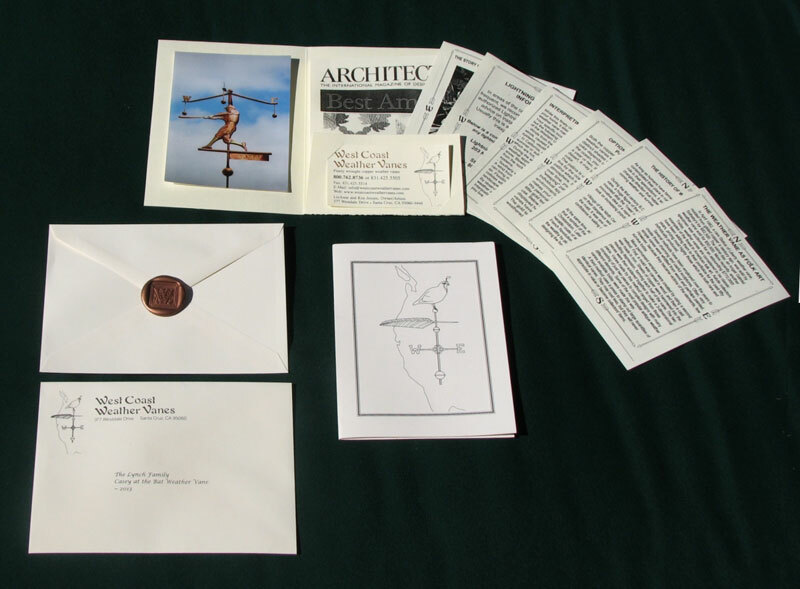 If the weathervane is a gift, we can prepare and send the book out as soon as your order is placed. 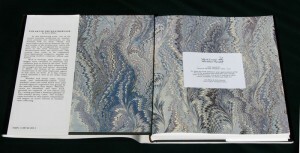 By sending the book out in advance, the recipient will have something to open on the special occasion (birthday, holiday, anniversary, wedding, retirement, etc.). The weathervane itself will then follow as soon as it is completed. 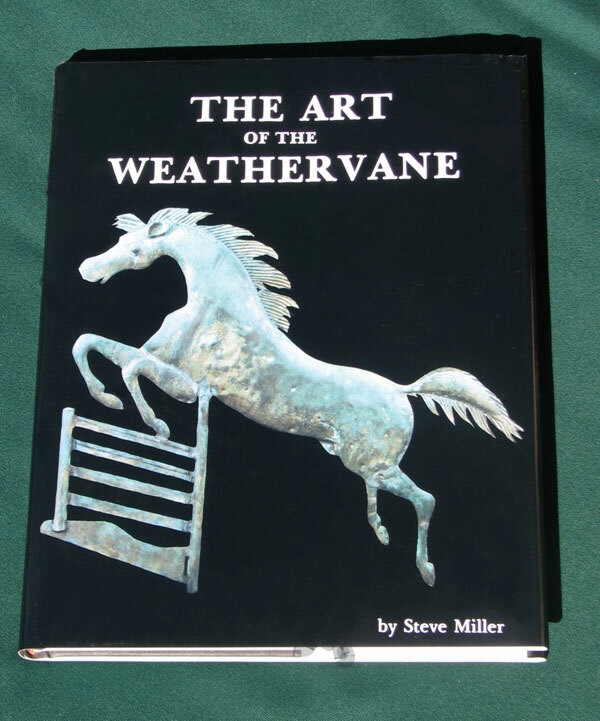 Steve Miller, author of the wonderful book, The Art of the Weathervane, was one of the foremost experts on antique weathervanes. As a prominent antiques dealer, he photographed many extraordinary weathervanes that came through his Manhattan gallery over the course of many years. The variety of designs, the creativity, and the degree of craftsmanship illustrated gives enormous appreciation for the long tradition and value, of which your new weathervane will soon be a part. 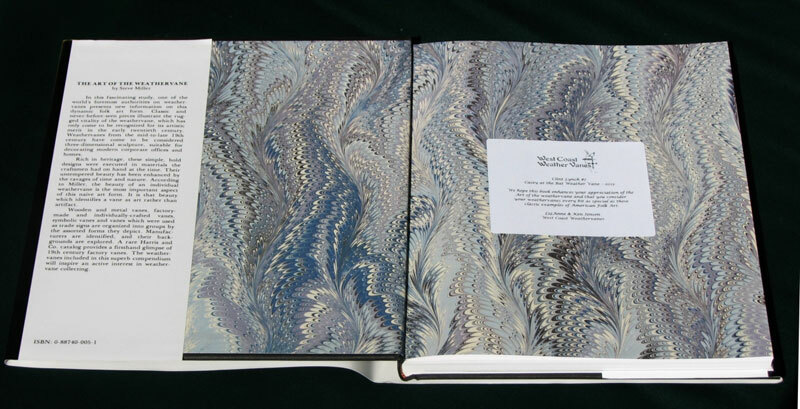 Inside the front cover of the book, we put a personalized bookplate. The wording of this bookplate can be tailored to a specific occasion such as a birthday, anniversary, or retirement gift. Or it can simply state your name, the vane you’ve ordered and the year your weathervane was crafted. 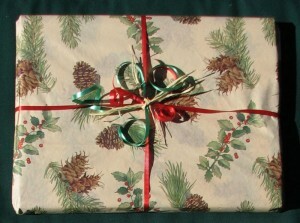 The book is sent out gift wrapped. You may select from the following two types of gift wrap for your copy. Certificate of Authenticity accompanies each weathervane. It is prepared and sent out when your new weathervane has been completed and is ready to ship.